This is a category for the work ITD does that may not fit into district operations. BOISE – Utilizing another communication channel to expand outreach of the department’s accomplishments and mission, ITD added a video component to its usual hardcopy version of the annual report. 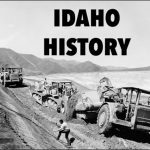 In less than eight minutes, the annual report video summarizes the highly successful 2018 fiscal year and how the department worked to meet the safety, mobility, and economic opportunity needs of Idaho citizens. Clicking this link will take you to the video result of that effort, highlighting ITD’s achievements in 2018. The traditional hardcopy document is also available here. 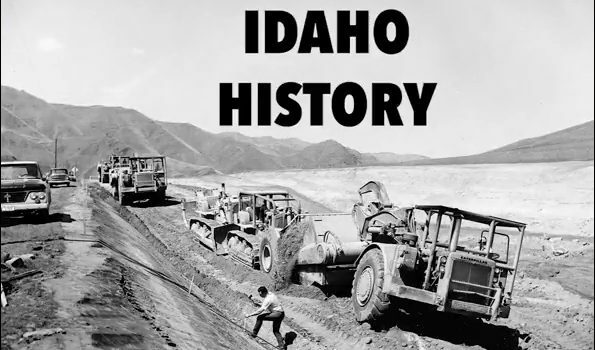 The Annual Report video is the story of innovation, excellence, and dedication, and shows the excellent results of Idaho’s transportation investments in 2018. 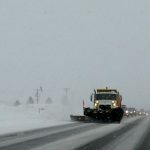 A series of winter storms pounded Idaho this week, bringing heavy snowfall to the region and causing multiple road closures. The extreme weather forced ITD to rally personnel and equipment to meet the challenge. The department shifted equipment and staffing resources as best as possible around the state. It has been all-hands-on deck for much of the last two weeks as crews continue working hard to plow and clear roads as quickly and safely as possible. From new snow to low visibility, drifting, and several avalanches or threats of slides, the department was hit hard in several areas. The worst winter weather seemed to reside in eastern Idaho, while avalanche conditions in District 3 and District 4 made several popular routes impassable. 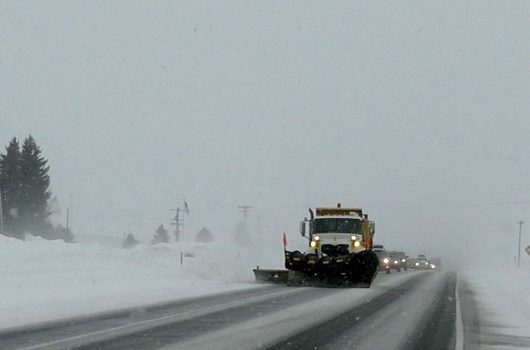 For current road conditions and updates, please check the department’s traveler advisory site, 511.idaho.gov. The department also has a winter readiness website. Please visit Idaho Ready. With so much time spent within the walls of our respective trucks, sheds, cubicles and offices, it’s easy to forget that each and every ITD employee lives a life outside of the department. Some may appear to be more colorful than others, more peppered with joy or riddled with strife, but each one has a story to tell should he or she be willing to share. Let’s take a look this week at Brent Brumfield, a GIS Analyst who joined District 4 of ITD just over a year ago, in December of 2017. Brumfield spends a lot of his time outside of work giving back to those who have given so much to this country. Originally from Calistoga, California, Brent moved to south-central Idaho via Billings, Montana, where he majored in Environmental Management and Policy at Rocky Mountain College. During his last semester of college, he accepted an offer from AECOM to handle oil and gas remediation, thus kick-starting his professional career. But his story begins long before Brent accepted his first GIS job offer. In fact, it begins before he even went to college. As a young man of 20 years, he made the decision to join the United States Marine Corps. This story starts there. Brent served eight years in the Marines as an Amphibious Assault Vehicle Crewman. He deployed to Iraq once in 2006 and again in 2007 (as part of the 22nd MEU), got married, and even had a son while serving his country. He was stationed at Camp Lejeune in North Carolina and also at Camp Pendleton in California. After his tenure in the Marine Corps, Brent moved his family to Montana in order to pursue his education. His time in the service was never far from his mind, however, and Brent soon discovered there were other ways he could continue to serve his fellow veterans. Brent believes that giving back to others who have been less fortunate during their time of service is crucial in the road to healing. 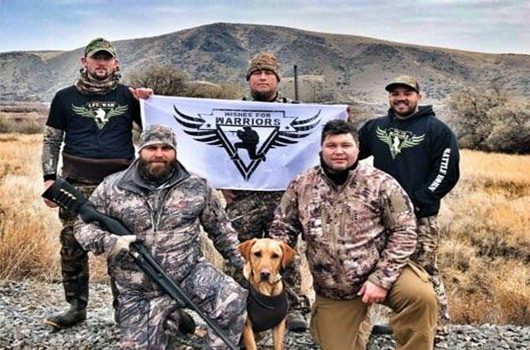 Brent, along with Wishes for Warriors, feels that outdoor activities are a great way for veterans to bond – particularly when they happen to be facing some struggles either on an internal or external level. 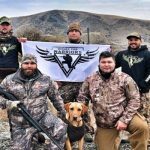 If you would like more information on the Wishes for Warriors organization, or to see how to participate, visit www.wishesforwarriorscorp.org. BOISE – First responders, who play a critical safety role every day in managing traffic incidents in Idaho, are being recognized throughout the state Nov. 11-17 during Traffic Incident Response Awareness Week, as officially proclaimed by Governor C.L. “Butch” Otter. These responders help fight rising costs by helping to clear roadways faster and protect drivers. “These men and women are truly our unsung heroes on the highway,” said Gov. Otter. “They keep commerce in our state moving and ensure we get to work and back home on time. They work all hours of the day and night, and even on holidays, to keep our families and loved ones safe. “This week, and every week, I encourage motorists to help keep them safe, by slowing down and moving over when you see them doing their jobs. 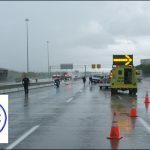 Roadway incidents can occur at any time and often require police, fire, emergency medical services, tow companies, and transportation workers. In an emergency, those first responders are critical to the protection of life and reduction of secondary crashes. They also play a critical economic role. While the cost of traffic incidents has increased by 85% in the last four years according to the American Automobile Association (AAA), responders help to reduce those staggering costs — $6 million average societal cost for a fatal crash, and $126,000 on average for an injury crash. Those costs include lost earnings, medical bills, emergency services, property damage, and travel delays, among others. Traffic incident responders in Idaho have contributed substantially to the prompt treatment of patients, clearance of roadways, and increased mobility of travelers. Rubbernecking or blocked lanes from crashes account for up to a quarter of all congestion. Travelers can in turn protect responders by driving engaged and moving over when incident responders are present. 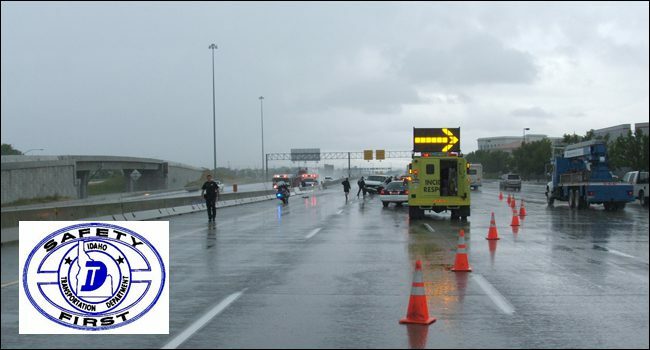 Tragically, traffic incidents are the leading cause of death for EMS responders and law enforcement officers. “They ensure our safety; we can do our part to ensure theirs,” said ITD Emergency Program Manager Neal Murphy. 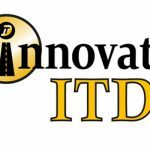 Innovate ITD!, in its fifth year, has so far saved Idaho taxpayers more than $8.5 million in efficiencies that are applied directly back into maintenance and repair of the state’s roads and bridges. 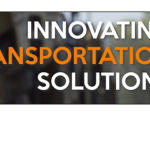 Along the way, more than 550 of the innovations have improved customer service, and hundreds more have enhanced mobility or directly impacted safety for highway workers and the traveling public. 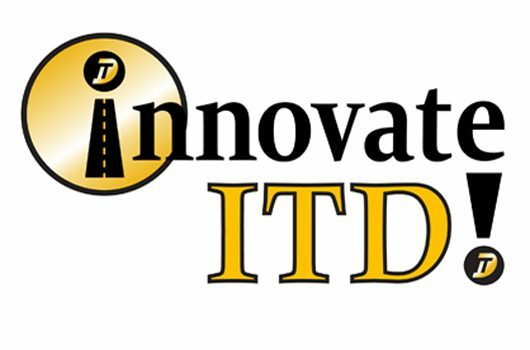 ITD’s innovation effort is statewide, employee-driven, and is focused on finding safer, easier and less expensive solutions. It has become a model nationally for organizations looking to get better. The 2018 Best of the Best competition spotlights innovations in each of seven categories central to the department’s main goals: safety, mobility, economic opportunity, customer service, employee development, time savings and cost savings. 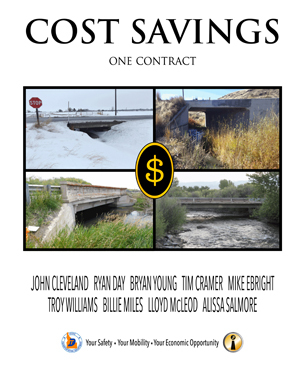 * The savings in time and money are being used to maintain roads and bridges and provide better customer service. In Safety, a hand injury sustained by a worker in another region by reaching into a tailgate to wrestle a rock loose inspired a crew in District 2 to solve a common problem. Bud Converse, Moscow Foreman, went to his crew with a possible solution. Within a few hours they’d welded a pipe to the truck, p ainted it and placed a bar in the pipe. 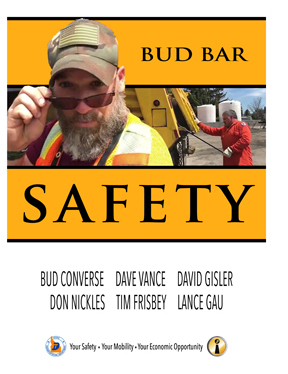 The aptly named “Bud Bar” is within easy reach of the back of the truck. It is used like a crowbar to wedge open an obstructed tailgate without endangering anyone. 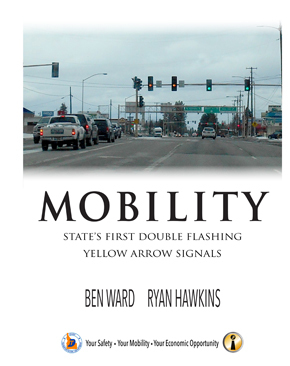 In Mobility, the state’s first double Flashing Yellow Arrow traffic signal helps move traffic through one of the busiest intersections in Coeur d’Alene. The new double FYA signal allows two lanes of traffic to turn left after yielding to oncoming vehicles and pedestrians. The signal more quickly gets passenger vehicles on their way and commercial haulers to market with goods and services. 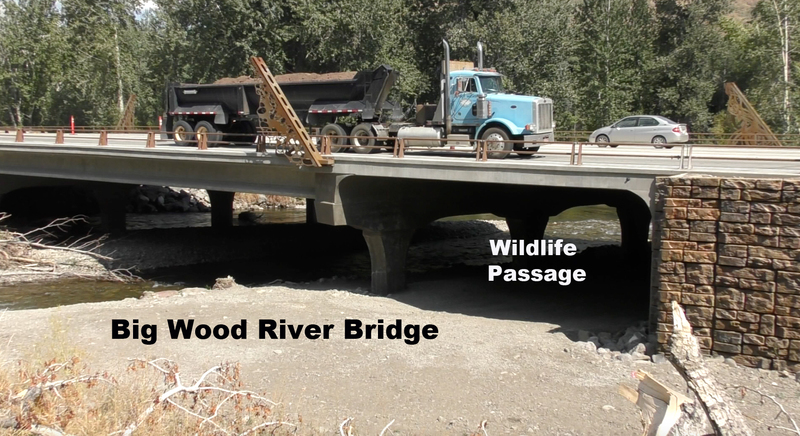 When bridges are hit by an over-height vehicle, a road can be closed for months, costing taxpayers millions. In the Economic Opportunity category, an innovation was developed to combat this. 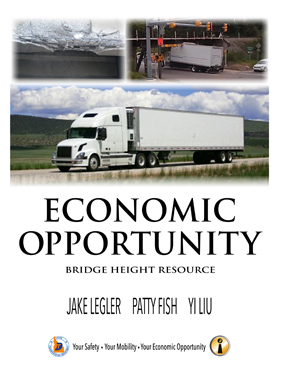 The minimum bridge heights are measured by bridge inspectors and this information is communicated to the permitting department in an easy-to-follow Google map. 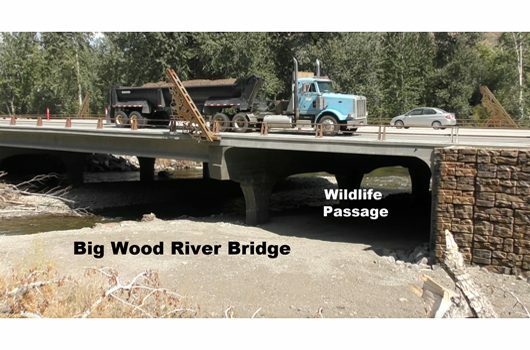 They can see which bridges trucks can safely pass under, increasing safety, and saving time by reducing bridge closures. 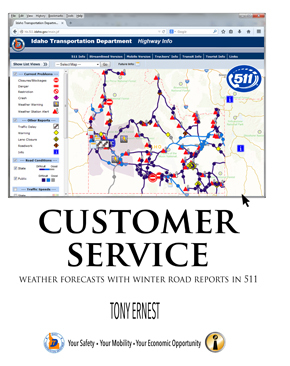 In the Customer Service category, improvements to the 511 Traveler Services platform will allow drivers to track weather conditions on certain highway routes. ITD partnered with the National Weather Service in Pocatello to add a forecast feature. The platform takes specific forecast information from areas along a section of highway, and creates an overall forecast for that route. This gets useful information to the traveling public, at their fingertips. 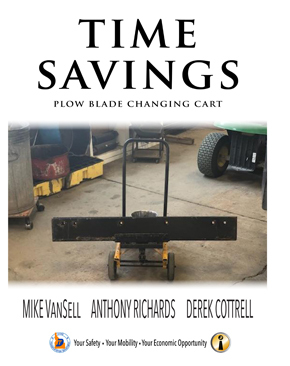 The Time Savings winner is an innovative new plow-blade changing cart. In a bad winter, blades have to swapped out up to five times per month. This idea will minimize the old back-breaking method of changing and installing blades by hand. The cart serves as the holder during these operations. They go on easier, and more safely allows crews to get plow trucks on the road more quickly. In Cost Savings, teamwork saved millions of dollars. 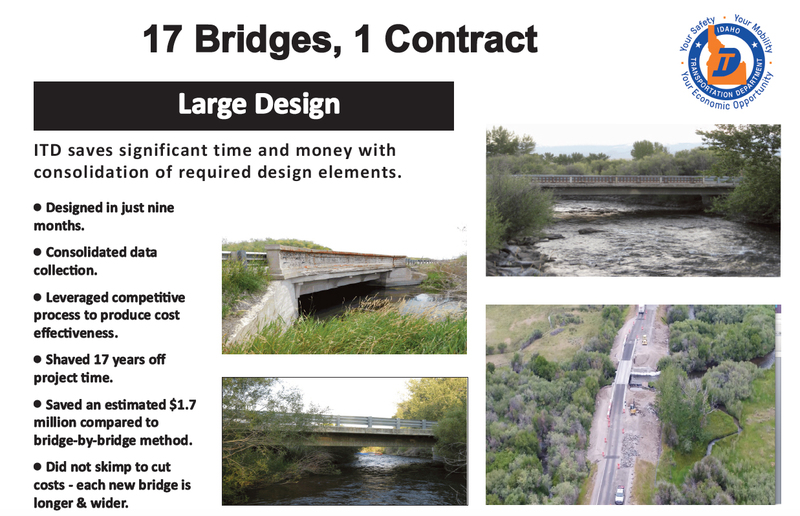 District 6, 5 and 4 combined 17 bridge repairs under one contract. 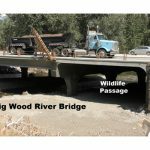 This allowed ITD to shave nearly 20 years off the timeline for replacing these bridges, saved about $1.7 million in design costs, and another $3 million off construction. 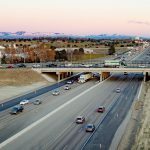 The 6-5-4 project won the 2018 AASHTO President’s Award for Planning. Each of the bridges is over 50 years old, and all will be brought up to current design standards and will be wider & longer. 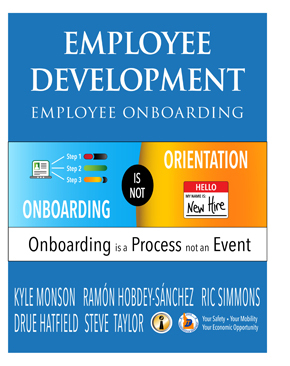 In the Employee Development category,, new employee onboarding focuses on retaining good employees. Approximately 25% of ITD’s employees started with the department in the last two years. Employee orientation generally takes place on Day One and often includes only routine paperwork. Onboarding, though, is an experience that lasts through the employee’s first 6-18 months. For new employees, introducing them to the “ITD way” early in the process and allowing them to take ownership of their job is another step in ITD’s mission of being the best transportation department in the country. And there you have it – this year’s Best of the Best, combining safety, ingenuity and efficiency! Watch the 2018 Best of the Best video. Safety has a new look at the Idaho Transportation Department. Thursday morning employees across the state traded in their orange vests for high-visibility yellow vests. The vests come as part of an effort across the department to focus on employee safety. “I can’t emphasize just how significant this change is as far as prioritizing the safety of our employees,” said ITD Chief Operations Officer Travis McGrath. Watch this video of the shift to yellow. The new vests were designed and developed by a team of employee representing different disciplines from across the state. 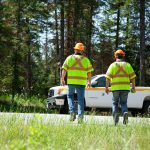 The most notable change to the vests is the yellow color to help drivers recognize highway workers among the orange traffic control devices. The vests also have a retro-reflective X on the back to signify to motorists the worker’s back is turned. Employee feedback during design also helped with some functional aspects like snap buttons, pockets big enough for a tablet, a rear storage pocket, and a strap for radio microphones. “I’ve been with ITD for a long time, and this is by far the biggest change I’ve seen in regard to our safety. 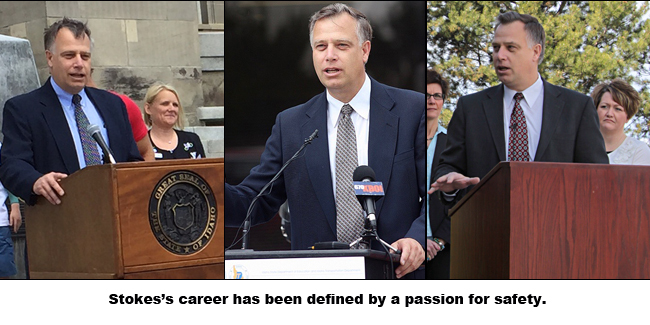 I’m so glad we’re making this commitment to our employees,” said ITD Chief Deputy Scott Stokes. ITD Chief Deputy Scott Stokes has spent his entire career advocating for highway safety issues, and that focus earned him the Lifetime Achievement Award from the American Association of Motor Vehicle Administrators (AAMVA). Watch video tribute to Scott. 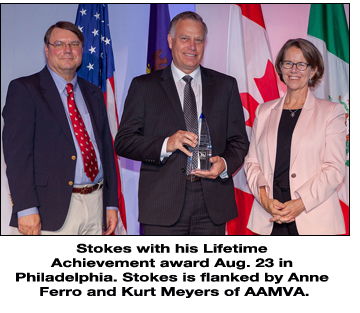 AAMVA presented the award to Stokes during their annual conference, Aug. 23 in Philadelphia, Pennsylvania. 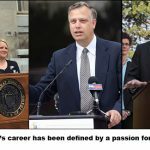 Stokes began with ITD in December of 1991 as a staff engineer in the bridge section at ITD headquarters, after some time spent in the private sector. He then began a rapid ascent. In 1993, he moved north to become a project development engineer in Coeur d’Alene. Eighteen months later, he returned to Boise to become the state bridge engineer. Then, in 1996, he accepted the position of District 1 Engineer, and moved back to Coeur d’Alene. “Every day in homes across Idaho, families and friends of vehicle accident victims bear the anguish and grief of needless loss of life. Through his tireless efforts and lifetime commitment to highway safety, Scott is helping Idaho reduce and hopefully end this senseless tragedy,” DMV Manager Alberto Gonzalez wrote in his letter nominating Scott. During his 25-year career at the department, Scott witnessed how engineering decisions, operational procedures and media campaigns impact highway safety, Alberto continued. In February 2007, Stokes transferred from his job as District 1 Engineer to a new job as Deputy Director at headquarters. He stepped up to serve as interim Director from July 2009 to January 2010. His passion is linking how engineering and operating decisions influence driver behavior and how driver behavior should influence engineering and operations. Through these positions and his passion for safety, Stokes led the effort to make improving highway safety the top priority for all employees.